Read report on how to maximize IT reliability through service automation. Ivanti provides best practices to support complete end-to-end, life-cycle change management processes. 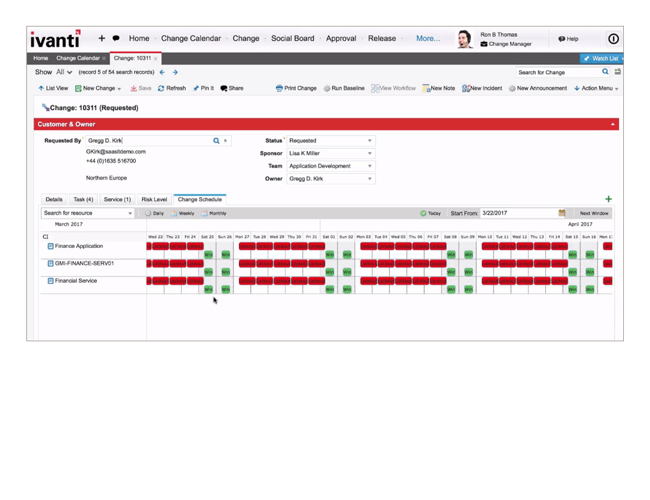 Out-of-the-box templates provide for simple, pre-approved change process workflow and for multi-level or dynamic change approval processes -- ensuring key stakeholders are fully aware and on the same page before changes are implemented. Color-coded Change calendars give Change Managers real-time visibility and filtering capability for all changes by category, type and status.